We have updated our page and expanded our research program and in need of donations for additional lab equipment and supplies. Initially, $15,000 is needed to continue the glyphosate enzyme inhibition and protein work. An LC/MS (liquid chromatography mass spec) AB Sciex API Triple Quad 4599 with Schimadzu Prominence XR costs approximately $125,000.00 used. Science is not cheap and for independent work this will take a village to attain, hence a request for donations. This equipment will be used for our continued independent research into Glyphosate and other pesticide contamination of human proteins and those of other animals. Samsel Environmental and Public Health Services is continuing this original research which has now expanded to the testing and identification of glyphosate in human proteins. Research scientist, Anthony Samsel explains: " Glyphosate the active ingredient in Roundup herbicides used in agriculture, is a synthetic amino acid that participates in biology. It becomes part of our proteins directly affecting our health. Glyphosate is a causal agent in many, many diseases including cancer. Glyphosate is one of the most ubiquitous toxins on the planet. Most food sold in the US and Canada is contaminated with glyphosate and contamination is increasing steadily in other parts of the world where it is used in food production. Glyphosate may in fact be a major cause in the rise of all modern diseases." 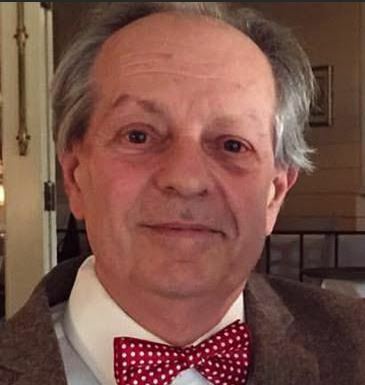 His work has found that Glyphosate becomes part of the proteins of humans and other animals corrupting the protein structure and function as well as inhibiting vitally important human digestive enzymes like lipase and compromising function. It was Samsel that first alerted US agencies that Glyphosate affects the microbiota which make up to 70% of the immune system. These symbiotic microbes provide nutrients and manufacture essential B vitamins necessary for health. Such interference by glyphosate leads to malabsorption and inflammation which in turn leads to numerous diseases including cancer. Samsel's find that glyphosate inhibits the human digestive enzyme lipase is of great importance, because lipase is essential to our ability to properly digest and use fats from the diet. Its impairment leads to numerous diseases, often with fatal consequences. 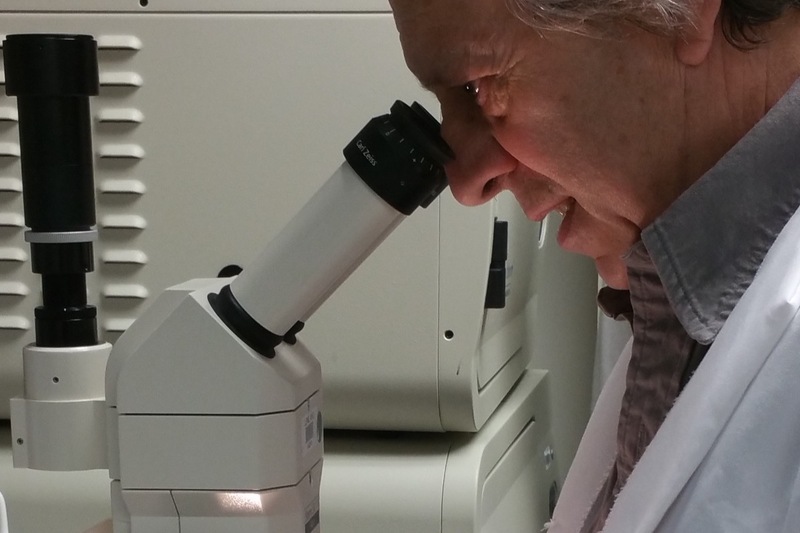 This current work with proteins including enzymes by laboratory experiments and analysis is very costly and the reason we are raising money to continue the research which is ongoing and ever expanding. We quantify levels of Glyphosate contamination from human and animal tissues using ELISA and EPA approved methods of GC and High Performance Liquid Chromatography , (HPLC MSMS). Results are periodically published in peer-reviewed journals under the Samsel and Seneff glyphosate papers series. Samsel was first to identify Glyphosate as part of the proteins of animals and humans and even quantified glyphosate in the teeth of children and most recently in the spinal disc of a 40 year old patient diagnosed with age related spinal degeneration as well as the keratins of many other human subjects. We hope that this research may now lead to answers for the cause of degenerative bone diseases which often require hip and knee replacement surgery. Previously, Samsel found that glyphosate becomes part of and including the collagens and keratins of the structural proteins of pigs, cattle and horses. 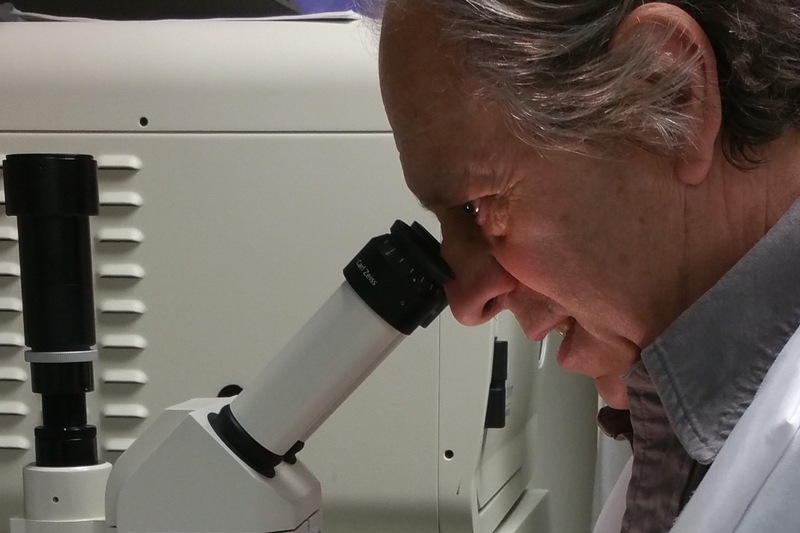 Samsel was the first to find glyphosate bioaccumulated in the structural proteins of humans. 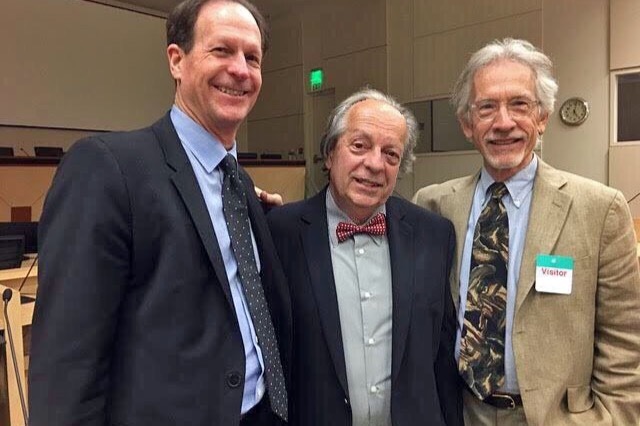 Samsel also found and extracted the damning cancer evidence against Monsanto from their trade secret studies for attorney's suing Monsanto in California. The trial first of its kind found for the plaintiff awarding a judgement of $289 million dollars. However, the case is currently under appeal the affected victim may never live long enough to realize his payment award. The same evidence was provided to the California Office of Environmental Health Hazard Assessment (CA OEHHA), as well as information concerning Glyphosate's carcinogenic contaminants that can cause cancer. The extracted evidence from Monsanto documents shows that Glyphosate only caused Lymphoma in the Glyphosate treated animals of the company's 2-year animal studies. 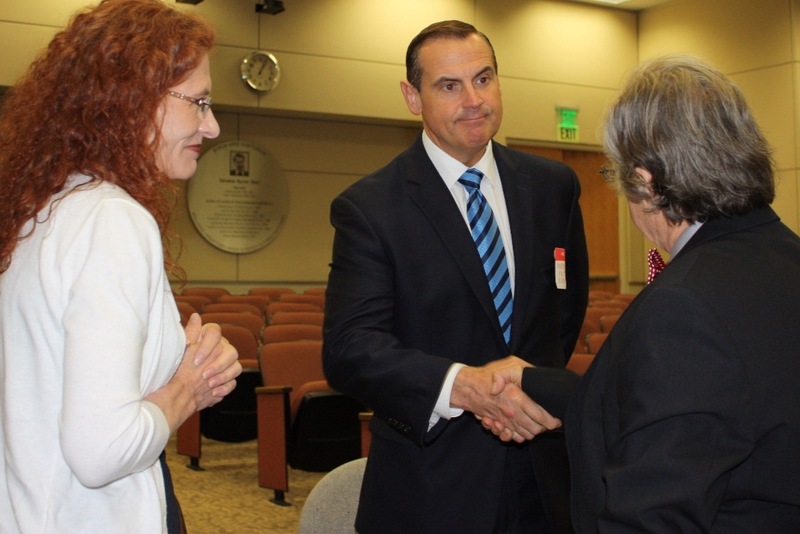 Samsel meeting and greeting Monsanto attorney (center) and Monsanto lead scientist Donna Farmer (left) who he testified against at the California OEHHA hearing in June of 2017. 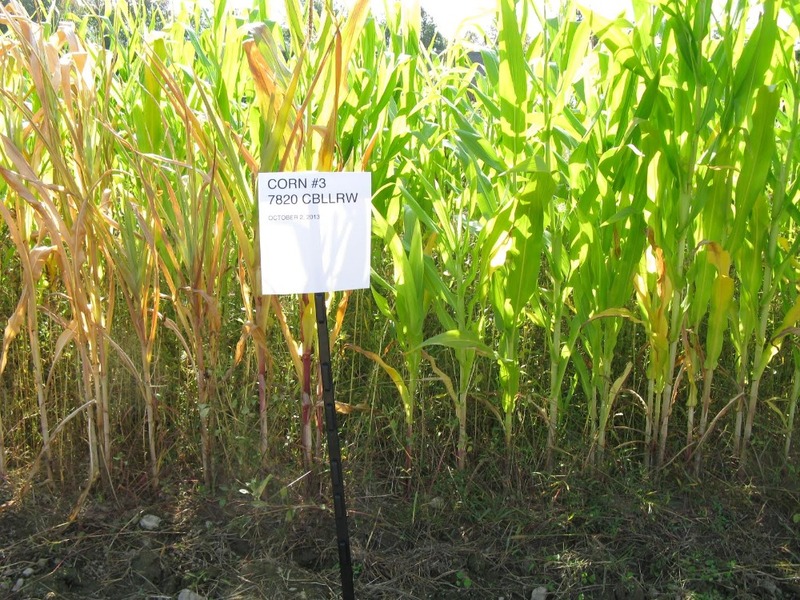 Samsel is also conducting independent agricultural field studies and test experiments with over 50 varieties of Genetically Engineered corn from Monsanto, DOW, Dupont and Syngenta. The purpose of these experiments is to determine potential differences between genetically engineered varieites and non-engineered varieties. Assessing possible differences in mineral, fatty acids, vitamin content or anything that may affect human health or the environment. So far, substantial differences between genetically engineered varieties and those that are not genetically engineered have been found and especially differences in mineral uptake, fatty acid content and vitamin isomers. These results will be published at the conclusion of the work at a later date. 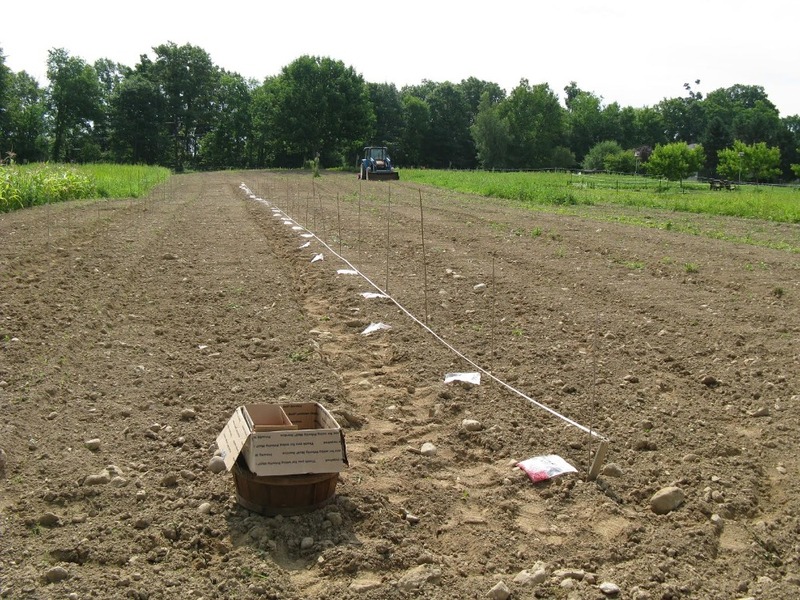 Photo: Test plot of over 50 varieties of GM corn and non-GM corn laid out and planted. This supplies plant tissue for lab analysis all grown in the same field and same environmental conditions. 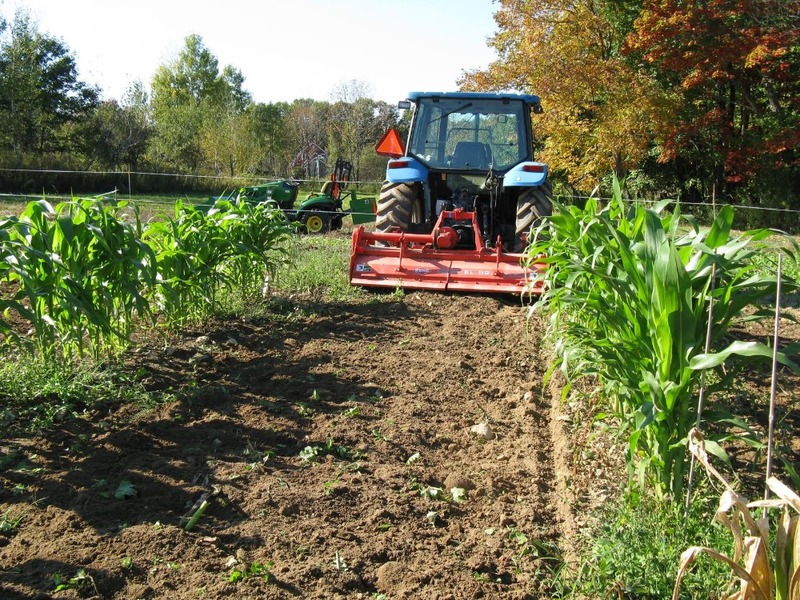 Having the same field, soils, moisture and environmental conditions comparing GM with Non-GM Heirloom varieties can show the differences in mineral, vitamin and fatty acid composition between genetic variants. Changes in the isomers of fatty acids and vitamins and including mineral deficiencies or over expression may cause biological harm. These experiments will help us to understand these potentials. All samples of each are analyzed by HPLC MSMS in the lab to determine what the differences are and quantify their composition. Photo: A variety of GM corn grown for tissue analysis with Syngenta and Monsanto traits of Glyphosate and Glufosinate resistance and Bt Corn borer and root worm insecticidal traits. Tony Mitra interviewed me on Stephanie Seneff's and my new paper on glyphosate. 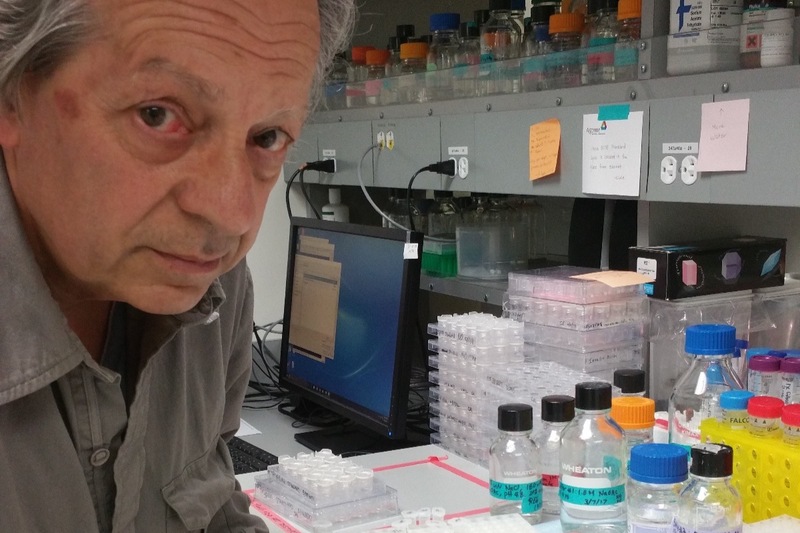 I talk with Tony Mitra about the fifth paper I'm working on about Glyphosate. (Nov. 5, 2015) Today, a new and thorough review of the health impacts of glyphosate use is available to regulatory officials who are reviewing its re-approval as the world's most widely used herbicide. The paper is titled Glyphosate, pathways to modern diseases IV: cancer and related pathologies. It's published in the Journal of Biological Physics and Chemistry which is now being mailed to subscribers. It's a detailed analysis of scientific studies, including many of Monsanto's own research originally presented to the U.S. government to gain regulatory approval. Authors are Anthony Samsel, research scientist at Deerfield, NH and Stephanie Seneff, researcher at the computer science and artificial intelligence laboratory, Massachusetts Institute of Technology, Cambridge, MA. These researchers have worked as a team on several previous studies. For this report, they also obtained via the Freedom of Information Act, an extensive body of lab studies submitted to EPA by Monsanto from the 1970s through the 1980s. On October 6, 2015, the European Food Safety Authority (EFSA) published a paper on request from the European Commission titled “Review of results published by Mesnage et al. (2015) in PLoS ONE and the laboratory findings communicated by Dr. Samsel to Farm Wars,” which responded to the findings of Dr. Anthony Samsel that laboratory diets used exclusively by scientists around the world for toxicology testing are contaminated by Glyphosate. 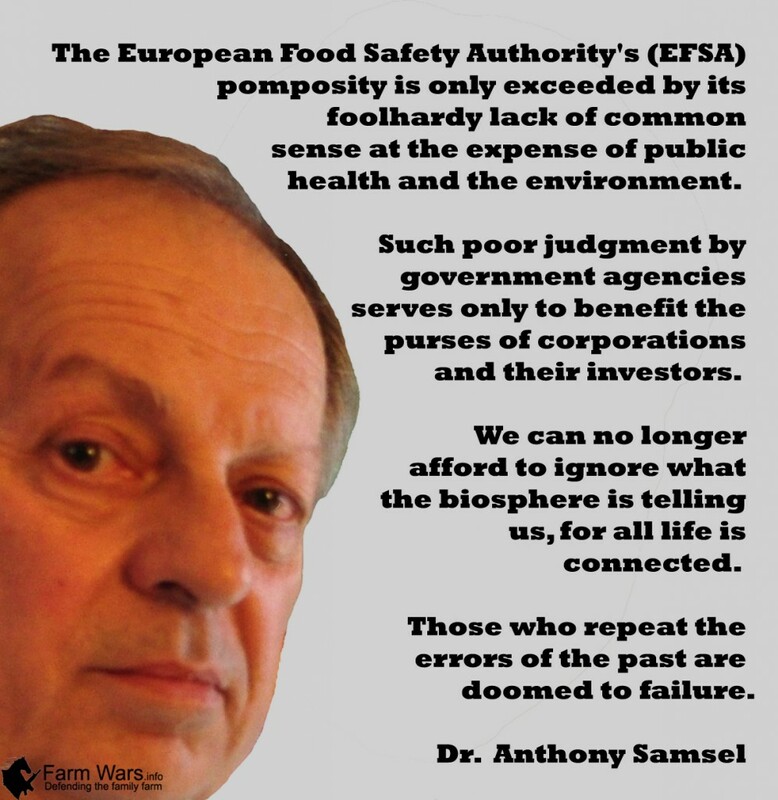 And the EFSA’s results are? Don’t worry, be happy, nothing to see here, we’ve determined that it’s okay, business as usual. "It is time for the GLP and OECD protocols to be updated to include routine testing for Glyphosate contamination, and all testing done previously with the contaminated feed re-evaluated in light of this new information." "The information reported on the website is not supported by sufficient detail or a reference to permit a full scientific review. In conclusion, no new scientific elements were provided that would impact on the validity of regulatory feeding tests in the EU." Did the EFSA even look at the actual lab data or any details? According to Dr. Samsel, NO. Just dismissed them as having no impact, and did not bother to make even one attempt to reach out to Drs. Samsel, Mesnage or Seralini. If you don’t look at the data or methodology used, how can you possibly make the following statement regarding that data? There are several limitations with the methodological approach used by the authors, including insufficient information about the test material and methodology used, incomplete reporting of the data, and inappropriate interpretation of legislation and results. This is not rocket science, folks. If you use rodents for toxicology testing that are already being fed a toxic substance such as Glyphosate, a patented metal chelator, herbicide and antibiotic during the trial, doesn’t it stand to reason that these tests would be inaccurate? To not even consider the ramifications of this and to dismiss Dr. Samsel’s findings outright is outrageous. I want to encourage Anthony Samsel to continue his work into the effects of Glyphosate on human and animal alike. Stand Strong Anthony against ridicule and big $$$ Money interest, your work is appreciated by those who have ears to hear and eyes to see. Because NIH and Big Agra will not.